Sergeant Garrett has worked for the Tehama County Sheriff’s Office since 1998. Prior to working for Tehama County, he worked for the Shasta County Sheriff’s Office as a Boating Safety Officer. Past assignments have included; Jail, Patrol, Civil, Boating, DARE Instructor, Marijuana Eradication Team, Narcotics Agent for the Tehama Interagency Drug Enforcement (TIDE) Task Force, and Investigations Divisions. He has been a Jail Training Officer, Field Training Officer, and Patrol Sergeant. Sergeant Garrett is currently a Team Leader for the Inter – Agency SWAT team of which he has been a member of since 2002. He is also a member of the Sheriff’s rescue dive team and is one of four Department Range Instructors. Sergeant Garrett is an active member of the California Narcotic Officers Association (CNOA) and the California Association of Tactical Officers (CATO). Sergeant Garrett loves to hunt and spend time with his family. Charles “Chad” Dada is a US Army veteran. He attended West Point, UC Davis, and College of the Redwoods. Chad Dada has worked for the Tehama County Sheriff’s Office since 1991. He has worked as a Jail Deputy, Patrol Deputy, Court Bailiff-Civil Deputy, Senior Deputy/Patrol OIC, Resident Deputy, as well as an agent for NSI Cal-MMET drug enforcement. His past specialty assignments were as K-9 Agitator, Accident Review Board, and Honor Guard. The POST Commission awarded Deputy Dada with an Advanced Certificate in 2001. In 2008, TCSO Investigations recognized him for “Case of the Year” by cracking a burglary ring affecting about 45 homes in Tehama, Shasta, and Plumas Counties. Also in 2008, Chad Dada returned fire during an ambush in which a CHP Officer was wounded, and he went on to receive the CHP’s Commissioner’s Award, Tehama County Medal of Valor, and DSA’s Officer of the Year award in 2009. In 2010 he was promoted to the rank of Detective-Investigator, and for over 5 years specialized in crimes affecting Children and other Special Victims. Detective Dada joined the Tehama County Child Abuse Prevention Council and California Sexual Assault Investigator’s Association. He propagated use of Child Forensic Interviews and Multi-Disciplinary Team (MDT) methods, and helped to create the Tehama County Child Interview Center (TCCIC). In 2016, he was assigned to Burglary Investigations. In his time away from work, Chad Dada enjoys SCUBA diving, motorcycle adventures, and backpacking. Chad Dada and his wife are proud parents to two college-age children. Detective Eric Patterson is a lifelong resident of Tehama County. Detective Patterson’s family has been in the county since the late 1800’s. Detective Patterson is a Red Bluff Union High School Graduate and has attended Butte College, receiving a Degree in the Administration of Justice. Detective Patterson graduated from the Butte College 78th Basic Police Academy. Detective Patterson’s first interest in Law Enforcement began as a teenager when he joined the Tehama County Sherriff’s Office Explorer Post. Detective Patterson was hired as a Deputy Sheriff in 1993. Detective Patterson has worked in both the Custody Division as well as the Patrol Division. In the Custody Division, Detective Patterson worked as a Jail Training Officer. Detective Patterson then spent many years as a Patrolman as well as a Field Training Officer. Detective Patterson has worked in the Sheriff’s Office Boating Unit operating the Sheriff’s boats on the Sacramento River as well as Black Butte Lake. Detective Patterson has worked as the Sheriff’s Office Background investigator conducting pre-employment background investigations. Detective Patterson is a certified Computer Voice Stress Analyzer examiner. Detective Patterson has attended Advanced Examiners Training in the use of the CVSA. Detective Patterson is a member of the Sheriff’s Office Crisis Negation Team. Detective Patterson is currently assigned to the Investigations Division as Detective/ Investigator, primarily investigating crimes affecting children as well as other special victims. In Detective Patterson’s off-time, he enjoys spending time with his family and is involved in youth shooting sports with the Nor Cal Junior Clay Busters. 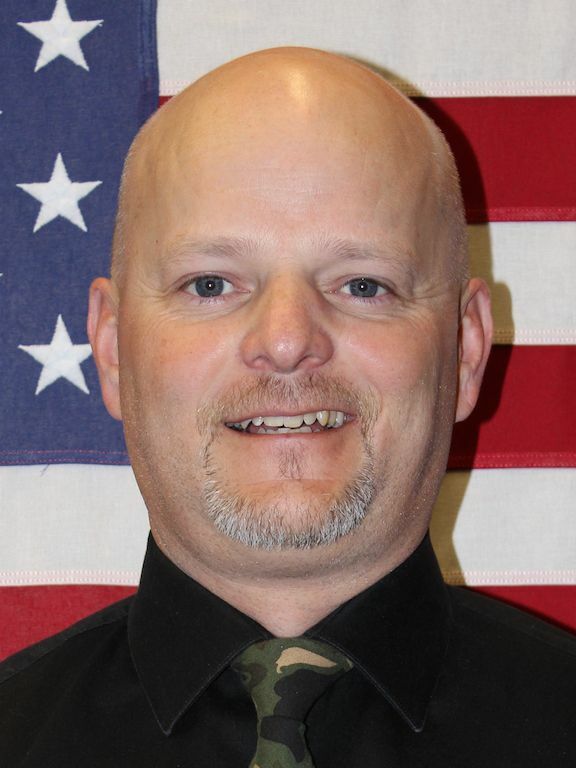 Detective Bakken has worked for the Tehama County Sheriff’s Office since January 2001. During his employment with the Tehama County Sheriff’s Office Detective Bakken has held the ranks of Correctional Officer, Correctional Sergeant, Deputy Sheriff, and Detective. Detective Bakken began his employment in January 2001 as a Correctional Officer assigned to the Tehama County Jail responsible for the supervision and transportation of inmates. As a Correctional Officer, Detective Bakken was assigned as the jail Classification Officer, Inmate Programs Coordinator, Jail Training Officer, Jail Training Coordinator and Report Writing Instructor. Detective Bakken attended the basic P.O.S.T. academy at Butte Community College in 2005. Upon graduation from the academy Detective Bakken was promoted to the rank of Deputy Sheriff and was assigned to the patrol division. Detective Bakken was assigned as a Field Training Officer and participated in the training of deputies in the patrol division and has been assigned as a shift supervisor for patrol shifts. Detective Bakken is currently assigned as a Hostage/Crisis Negotiator and as the department Public Information Officer. When he is not at work Detective Bakken enjoys spending time with his wife and two children. Detective Lovelady has worked for the Tehama County Sheriff’s Office since 2005. Prior to that, Detective Lovelady was a Cadet and Explorer for the Redding Police Department for five years. Detective Lovelady graduated the Butte College 117th Basic Police Academy in 2006. Detective Lovelady has previously held the following assignments; Correctional Officer, Patrol Deputy, Narcotics Agent for the Tehama Interagency Drug Enforcement (TIDE) Task Force, and Assistant Task Force Commander while at the TIDE Task Force. While assigned to the TIDE Task Force, Detective Lovelady investigated major drug crimes to include state and federal investigations. Two federal investigations Detective Lovelady directly worked on resulted in the arrest of 26 defendants, seizure of 54 kilograms of methamphetamine and over $226,000 in U.S. Currency. Detective Lovelady was awarded Deputy of the Year in 2009 for his proactive approach to law enforcement while serving the citizens of Tehama County. Detective Lovelady received the Mothers Against Drunk Driving (MADD) award in 2011 for the number of DUI arrest made while patrolling the County of Tehama. Detective Lovelady was awarded the POST Advanced Certificate in 2016. Detective Lovelady is currently a Operator for the Tehama County Inter – Agency SWAT team of which he has been a member of since 2010. He is also a Department Impact Weapon Instructor, Less Lethal Munitions Instructor, and a Chemical Agents Instructor. Detective Lovelady became a certified Cellebrite Forensics Examiner in 2013. Detective Lovelady is an active member of the California Narcotic Officers Association (CNOA) and is the Training Coordinator for the CNOA Region VIII board. Detective Lovelady is also a member of the California Association of Tactical Officers (CATO).